Posted by mclceltic on March 13, 2016 in woodworking. How much would this sign cost? It’s absolutely beautiful!!! I have made these plaques primarily for family members as gifts. One that I did make for a benefit auction went for $200. So I guess that would be my answer to you. 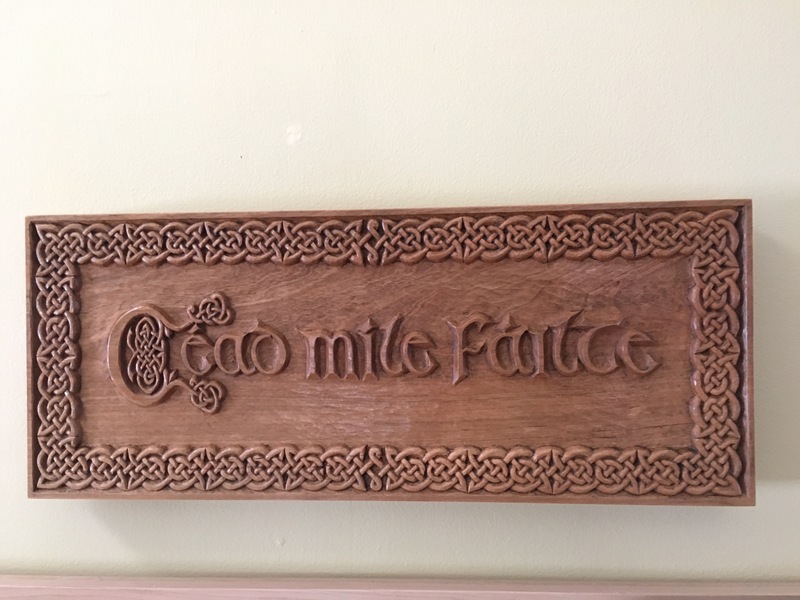 Jim McLaughlin specializes in custom carved signs, furniture, and jewelry boxes, with Celtic designs. Please contact Jim if you would like a quote on a project. Jim is a juried member of the League of New Hampshire Craftsmen. Copyright ©2011-present. Jim McLaughlin. All rights reserved.